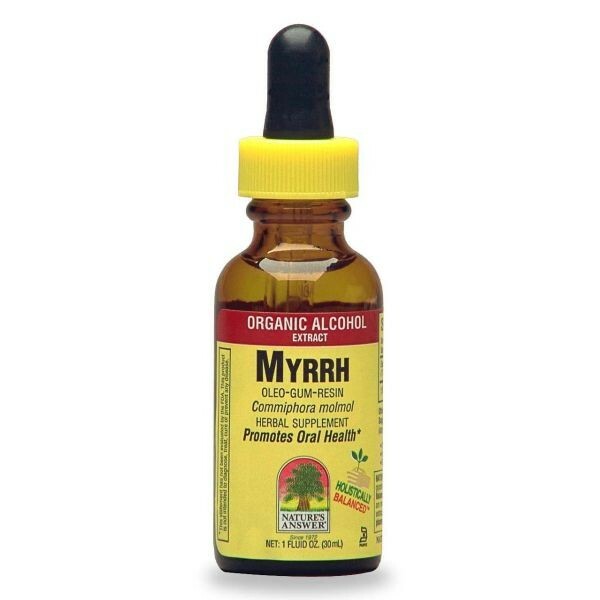 Nature's Answer Myrrh Gum Extract 1oz. 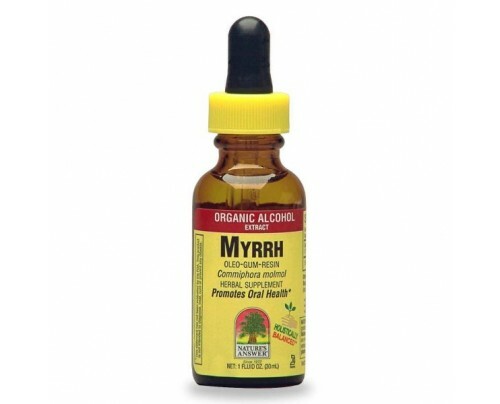 Product Description - Nature's Answer Myrrh Gum Extract 1oz. 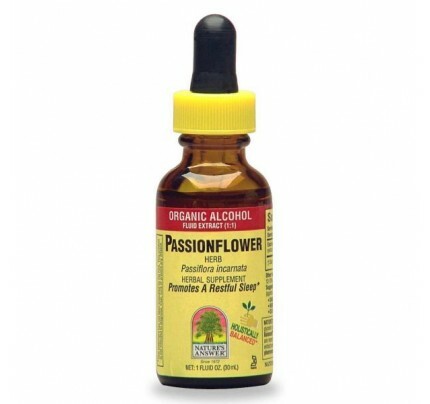 Nature's Answer® organic alcohol extracts are produced using our cold Bio - Chelated® proprietary extraction process, yielding a Holistically Balanced™ standardized extract. Liquid extracts are absorbed faster than tablets or capsules, and are more potent than tinctures. Holistically Balanced™ guarantees that the constituents of the extract are in the same synergistic ratios as in the plant. 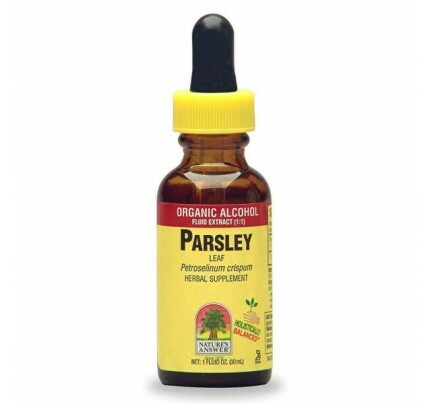 Suggested Use: As a dietary supplement take 2 mL (approx. 56 drops) 1-3 times a day in a small amount of water. Warning: Shake Well. Keep Out of Reach of Children. Do Not Use If Pregnant or Nursing Do Not Use if Safety Seal Is Damaged or Missing.